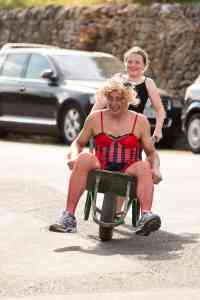 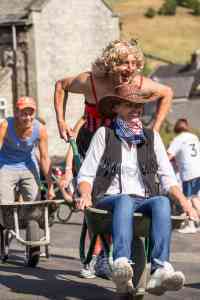 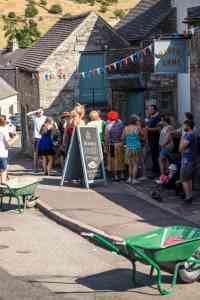 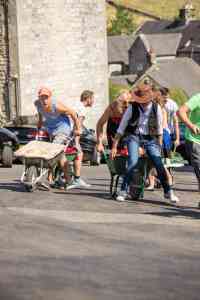 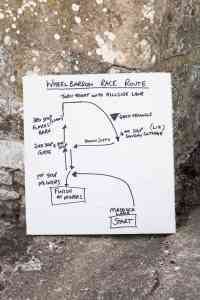 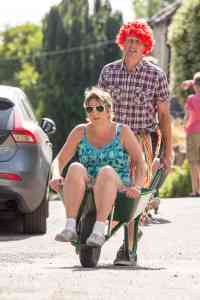 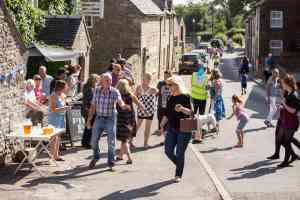 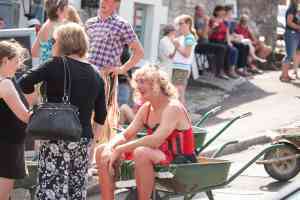 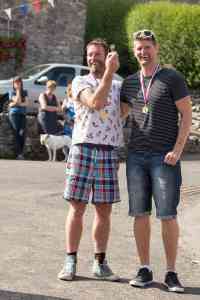 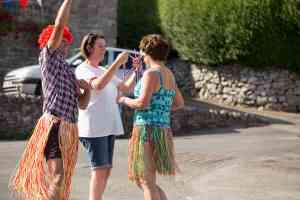 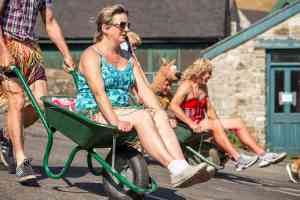 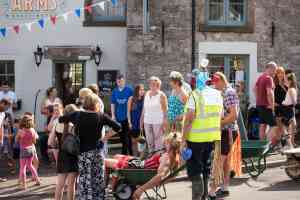 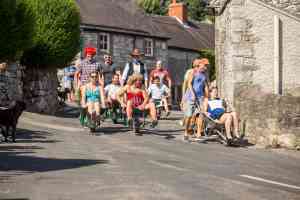 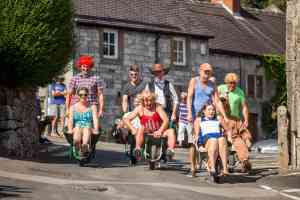 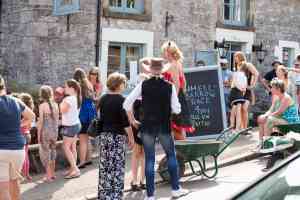 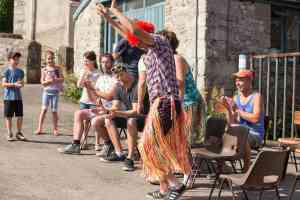 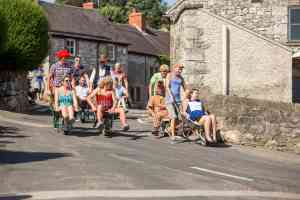 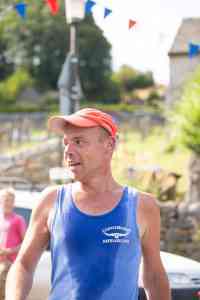 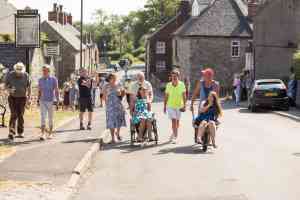 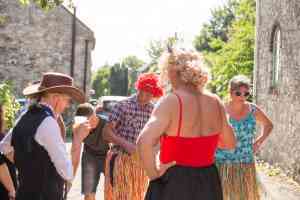 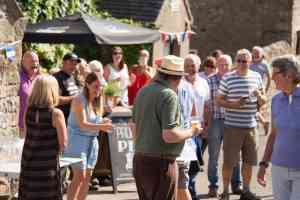 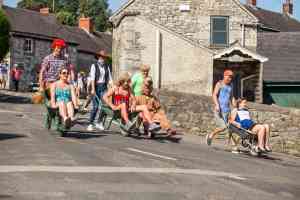 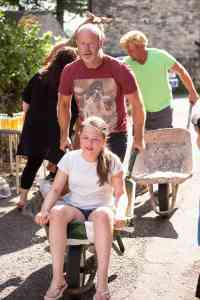 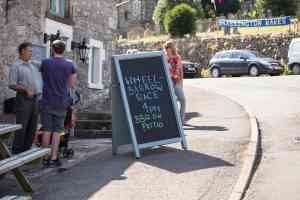 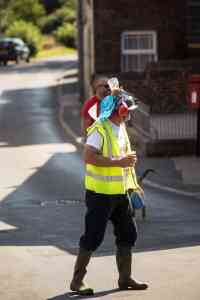 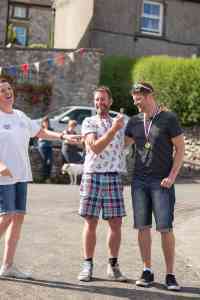 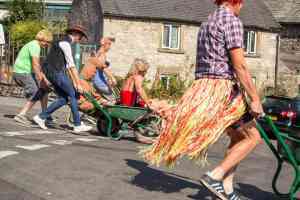 A wheelbarrow (and drinking) race through the village in fancy dress. 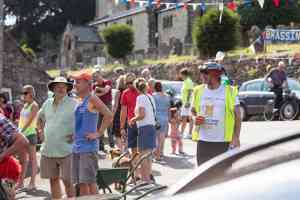 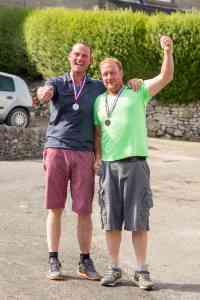 Organised by Brassington Football Club. 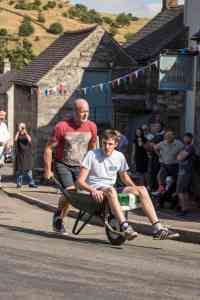 Held on the first day of Wakes Week.